The information age has grown out of the work of experimental computer science, which is dedicated to the development of new hardware, software, graphics, interfaces, and other computer system technologies. 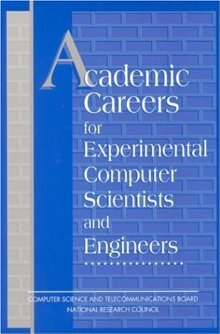 While it is important to society in this larger sense, experimental computer science has found an awkward fit in university environments. This volume examines what is special about experimental computer science and what can be done to achieve a better fit for its practitioners in the academic context.